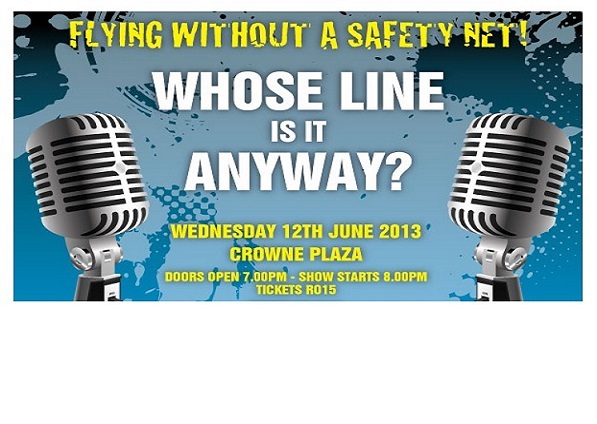 Home / Competitions / entertainment / Win a pair of tickets to Whose line is it anyway? 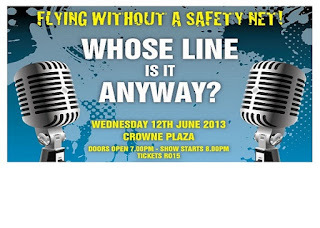 Win a pair of tickets to Whose line is it anyway? Tickets are not yet on sale, but will be very shortly. They will cost RO 15 and will be available at the Mackenzies deli in MQ. However, I have 2 PAIRS of tickets to the event to give away to 2 people - eg, 1 person wins 2 tickets, and 2 people's names will be selected. All you need to do is either comment here, or send me an email with the subject: "I want Whose line is it anyway" to my usual email address (on top right of every page of this blog - mrsythe(*at-)gmail(*dot-)com. Remember, if you leave a comment here, please leave an email address for me to contact you on if you win. I don't harvest or sell email addresses, and never will. I'll announce the winners on or around the 2nd of June. I want Whose line is it anyway! will be nice to see a resurrection of the show. cheers! I want Whose line is it anyway! Any way I want, whose line ? I don't care ..! "I want Whose line is it anyway"
I want Whose line is it anyway! Looking forward for a funny evening! I want Whose Line is it anyway!